Nailing sidings to a wall is simple but if not done properly, the ugly features are really noticeable. Before most people used framing nailers but due to its extreme power which results in a rough finish, the siding nailers came in. Simple task but without the right tool, the job gets nasty. 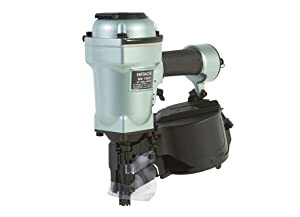 It’s best if you’ll know how to choose the best power siding nailer that suits your need. 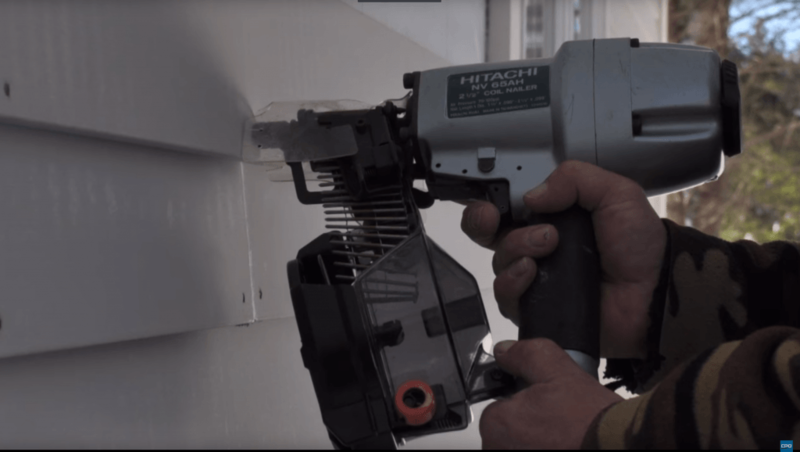 Here, we’re showing the things you need to consider when buying your power siding nailers. Likewise, we included an in-depth product review for the top 10 best units for 2019. This simply means the alignment of ​nails​ to fit inside a single magazine. Most units today can accommodate both plastic and wire-collated nails. Plastic collated nails are much affordable compared to wire-collated ones. However, they are less durable and more breakable compared to the other type. In contrast, wire-collated or weld-wire collated nails are like thin metal strips attached to the nails. It’s more durable and reliable which justifies its slightly higher cost. To give you wider options for work, better choose a siding nailer which can accommodate various sizes of nails. The common nail sizes are 1-1/4 to 2-1/2 inches. When doing siding works, speed and the quality of nail matters more than power. Excessive power is not that ideal for it poses a higher risk for damaging the wall. Doing siding works sometimes places you in a difficult physical position. 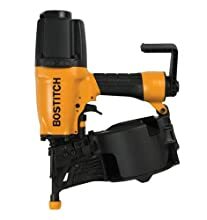 Hence, most power siding nailers are lightweight and have a good rubberized handle for a comfortable and easy work condition. It is sometimes unavoidable to have debris scattering around when doing this kind of job. To ensure user’s safety, most units have a protective guard against nail and debris coming towards the user. 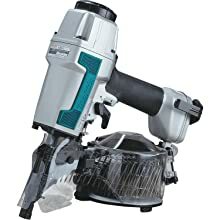 Buying this power tool is an investment, hence, it must be durable enough to last several times of work. A unit made from aluminum or magnesium metal gives a more durable build. For the price, you’ve got to pair with quality. Oftentimes, quality supersedes price. Spending a few extra bucks for quality is a good choice rather than buying cheap ones but would not last long. The tool has a solid and balanced build, not to mention it comes with a great plastic molded case. It had no jamming or misfiring issues when used on cedar shingles. Its depth adjustment guide works great and no problems about marring or splitting once it’s set. Loading the nails comes really quick and the hook for hanging the tool on your side is so reliable. Great tool to have and worth the price. But the trouble is you’ll need to buy the quick connect plug for air and the lube too. 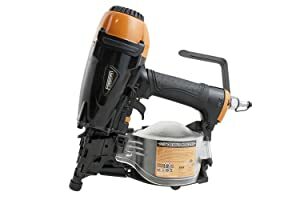 This mini siding nailer impressed me with its sufficient power and speed. Very affordable and quality pneumatic siding nailer. I like its compact and solid build which adds extra versatility. However, it is not that capable of driving a 10D or 16D galvanized nails to any depth. This tool is really affordable and performs well for the task. It’s lightweight and the rubberized grip handle gives hand comfort while working. It’s definitely easy to use and maneuver when working on difficult positions. The magnesium housing of the tool gives it extra durability factor. But we don't like about the plastic cover for the nails seems to be not that sturdy. There are so many things to like about this tool. It’s very easy to set up and gives reliable power and speed. Loading and depth adjustment of the nails comes really quick and easy. No issues with jamming nor misfiring. You can see the nail coil for both feed and the remaining numbers left. Most of all, it has a 3-mode selector switch (contact, sequential and lock) for easy operation. Unfortunately, some users experienced slight problems exhaust for the air. I like the depth adjustment guide of this tool for it accurately works and hassle-free. The magazine is easy to load and no issues with jamming nails. The aluminum housing looks nice and durable. Next to, the tool doesn’t come with a fitting airport but not a big problem for most users to buy their preferred quick connect plug for this. 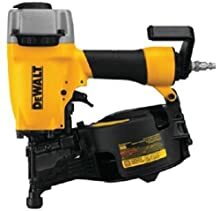 The Duo-Fast DF225C is very lightweight and easy to maneuver nailer which helps you work on tight spaces. A fast and accurate nailing performance which gives you total satisfaction. The magazine is quick and easy to reload. Some experienced leakage of air but that’s because they weren’t able to choose the right fitting airport for it. 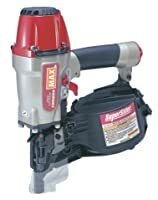 The nailer shoots flawlessly and there’s no problem with jamming nor misfiring of nails. The tool is pretty light and easy to maneuver, very friendly when working on tight workspaces. Effective depth adjustment as well. 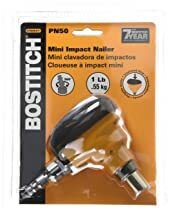 Besides, some experience misfiring but due to the variation of the nail size placed inside the magazine. 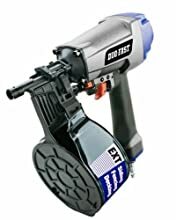 It has great power and accuracy for firing nails. Loading the magazine comes really convenient with its sideloading action and open nose design. The deflecting shield to protect the user from flying nails is really good and useful. Amazingly lightweight and easy to set up. Sometimes fires double but mainly because of poor technique. This effectively shows great performance when tested on a 240’ board fence where it flawlessly drove 3,000 nails in placing 680 pickets. It has enough power to drive through a Cedar at 80psi. Amazingly easy to handle and lightweight so no weary hands when using it. Overall, solid and tough tool. However, the hammer pressure is not readily adjustable. The tool's anti-double fire mechanism works perfectly fine. You can easily adjust the depth of nail its the dial knob. 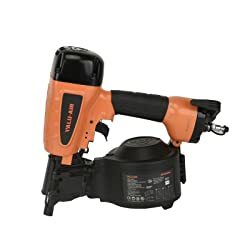 There are so many features to like from this nailer but what I like most is its shield and depth dial knob. It has a solid and sleek build. However, some units experienced slight jamming issues.